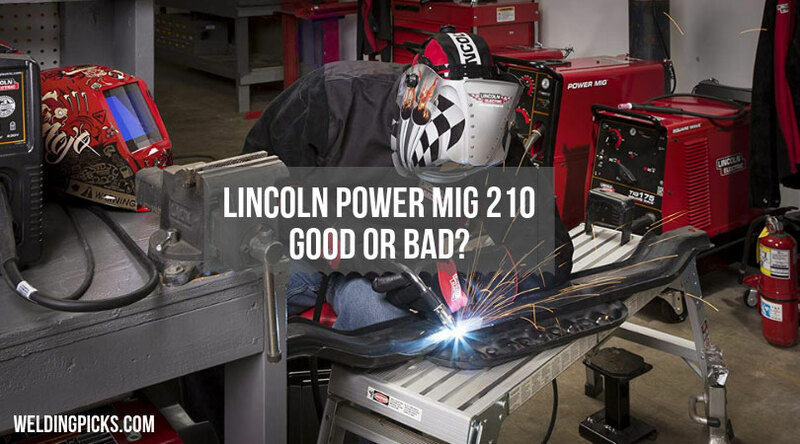 Lincoln Power MIG 210 MP Review – Good or Bad? Welding machines are expensive! But does the high price assure you that you are receiving nothing but the best? This is why I took it upon myself to give you the best welding machine out in the market, “Lincoln Power MIG 210”. Now, you might be thinking that I am some marketing guy who is trying to sell you this product, aye? You wouldn’t be wrong thinking that, but let me assure you this, you don’t need to trust my words. Because I will state all the facts relating to the product down below anyway so you can choose for yourself. If you think the product is worth buying, sure go ahead and if you think you want something different, that will do too. 1.6 The Good and Bad? 2.1 Can TIG be done using the machine? 2.2 Can you TIG weld aluminum with this machine? 2.3 What is the machine body made of? 2.4 Where is the machine Manufactured? 2.5 Will this unit work with Lincoln K3269-1? Let me give a quick overview of the product. The brand that we are discussing is Lincoln and the product is Lincoln Power MIG 210. This product is one of the most versatile machines available on the market for sale. It can successfully complete all the welding processes out there. Processes like Flux Core, MIG, Stick and TIG can be done using with the machine at ease. The machine is ideal for light welding or any other kind of hobby welding. For other hard-core welding processes, extensions of the machine are for sale which will help you succeed in the processes. You might be wondering about its reliability. Well, stop wasting your worries since this product is extremely popular among hobbyist welders due to being highly reliable. Inverter technology? yup, this machine boasts this feature under its belt. Being lightweight is another reason for the admiration of the machine which makes it super portable. Further reason why you should get this machine is for its digital display. This display will accurately show you all the important information regarding welding like voltage, etc. If you have reached this far, I am 100% positive that you are giving the machine some thought. If that so, then let me tell you about some of the other features it has. Lincoln Power MIG 210 goes with two input cables through which you can insert two different reading of voltage. Those being 120V and 230V. A Magnum PRO 175L Gun is also included with the machine which is around 10 feet long. Work Cable, Clamp Electrode Holder, Regulator, Gasless Nozzles, and Gun cable are already preinstalled inside the gun. You can then find a Spindle Adapter Sample which weighs around 0.9 kg and many more features on the machine. Below, I will discuss some Key features of the product which make it worth every penny. How many welding machines can you find on the market which can work in any power supply line? I don’t know either, but this one can. You can basically plug this bad-boy in an ordinary power supply line and it will work just fine. This is possible due to its dual voltage system which is 120V and 230V, which makes this device very convenient to use and can be used almost anywhere. Welding machines in recent times have become so heavy that in order to carry them from one place to another, you surely will waste a lot of energy. Luckily, designers at Lincoln kept this at their mind while making this machine. And the end result is simply amazing, they were able to make a welding machine which weighs only 40lbs. The lightweight means it can be carried anywhere at any given time without needing to worry about breaking your back. What about the Controls, you ask? It couldn’t be any easier. The designers of the Lincoln Power MIG 210 made dials and push buttons in such an intuitive manner that anyone can set the machine up. Getting to see all the information that you need while welding is a novelty to many. And to make this novelty available to its customers, Lincoln added a digital display which shows almost all the necessary information regarding welding in real time. You won’t have to take it to the trader every time you want to access any advanced option or setting in the machine. You can simply do it yourself, this is how much Lincoln cares about its customer. They know very well that the time of every single of their customers is important. Just like another machine, this too has its pros and its cons. Down below is a list of all the advantages and disadvantages a Lincoln Power MIG 210 user may find mention-worthy. As I am approaching the end of the article, I felt like I had to answer some commonly asked questions welders ask about the device. Can TIG be done using the machine? Yes, it sure can, but you will need to buy the TIG kit which is sold separately by the company. If you don’t want to buy the kit being sold by the company, you can always by a TIG torch, Gas adapter, and TIG torch kit separately. 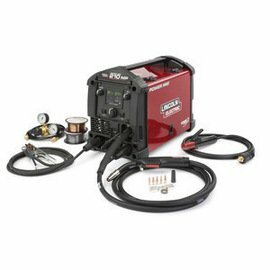 Can you TIG weld aluminum with this machine? No, in order to TIG aluminum, you would need AC but Lincoln however is a DC device. One can MIG weld Aluminium with optional spool gun, although the result won’t be satisfactory. What is the machine body made of? The body consists of both plastic and metal. The door and the body of the machine is made of metal. Plastic bezel goes around the front and back of the device. Lincoln is an American company based in Mexico. As the company is in Mexico so naturally all the products are manufactured in Mexico. Will this unit work with Lincoln K3269-1? Yes, it will. They are made by the same company and one should work with the other flawlessly. Huh. That was everything that I knew about the product. At the end of the day, it all depends on you whether or not to buy the product. But if you would choose to ask me then I had to say YES. The machine is really capable and very reliable for everyday welding. The pros are far greater than its cons which is why I would suggest you buy the machine.